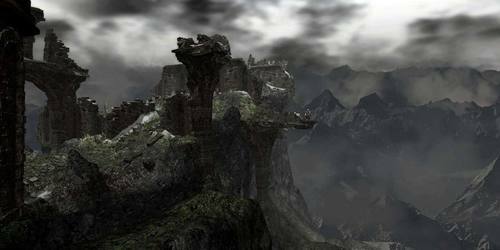 The Northern Undead Asylum, located in snowy mountains outside Lordran, is where the Undead are being sent. It is unknown who exiles the Undead, but there is some evidence pointing at the Way of White, Allfather Lloyd's church. 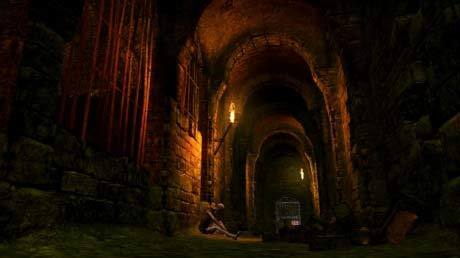 The Chosen Undead's journey begins here, locked away in one of the cells. It is possible to go back to the Asylum later, using the giant crow's nest in Firelink Shrine. In the meantime, the hollows, without the menace of the Asylum Demon, will go out and get torches, and some Black Knights will also arrive at the place, possibly to restore order. Otsuka: Next, I'd like to talk about each of the areas in the game in a little more detail. I suppose we should start at the beginning in the Undead Asylum. Waragai: I was in charge of the Undead Asylum, but in was actually the last thing I drew.